Our eyesight is one of the most precious and valued senses we are blessed with. In order for our eyes to provide us with clear vision, a complex and intricate process of gathering, focusing and changing light signals into images we can recognise all miraculously appear to take place in the blink of an eyelid. As we all age, the eye and it`s sensitive mechanisms are susceptible to damage and disease. Regular eye examinations are the best way to ensure your eyes remain healthy, and should problems with sight arise, early intervention allows the best chance of dealing with such problems. Here at TOTAL EYECARE, we strive to provide this essential care – all we ask is you come to see us for your regular checks. Some eye diseases such as Glaucoma and diabetic retinopathy have no symptoms in their early stages. The earlier such pathology is identified, the better your chance of retaining your sight. Early detection and treatment is vital in keeping your eyesight in tip top condition. 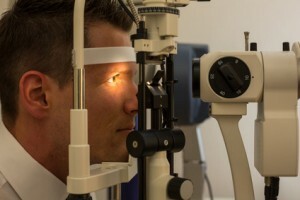 Eye tests allow the Optometrist to check your vision, and to correct it should this be required. It also allows for a full examination of the outer and inner parts of each eye to ensure there is no active disease or pathology. 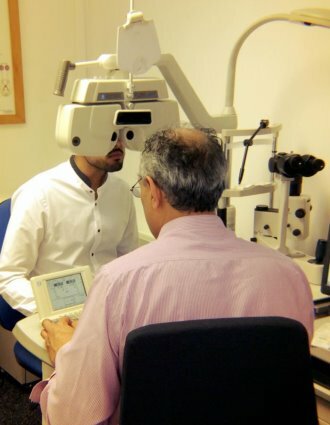 Here at TOTAL EYECARE, we use computerised testing equipment all the way from the initial pre-screening to the sight test itself, through to the field of vision test. Find out more about our state of the art testing equipment here. Children’s eyes undergo a great amount of change and development in their early years. Between the ages of 3 and around 7/8 years of age, both eyes are fighting for brain space. Unless both eyes have identical vision, an Amblyopic, or what is often termed a Lazy Eye develops. This can only be corrected during this period, after this time period expires it`s too late to correct. In order to see in 3-D we need both our eyes to be working together as a pair. This is why it is ESSENTIAL a child`s eyes are tested during this time. Any abnormality can easily be corrected by way of Patching – as simple as that. 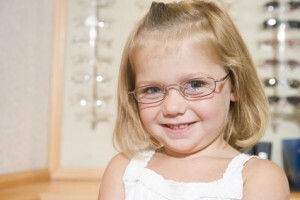 Here at TOTAL EYECARE, we take children`s sight most seriously. We will check your child`s eyes for any Amblyopia, and if found will aim to ensure all is done to correct the condition. This may involve a referral to the Orthoptists at the local Eye Hospital, or we may be able to manage it in house. Simply make an appointment to visit us for your regular eye examination or if you have any worries at all about your own or your Children’s eye health.